If you want to look like a real sport, wear the Nike Show X1 EV0617! It's great for outdoor activities and athletic sports. Enjoying this pair is just a click away! All Nike Sunglasses are 100% authentic and arrives in complete original packaging. 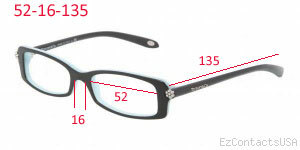 "I ordered from here about two weeks ago, paid for ground shipping and received my glasses in less than 5 days. Incredibly satisfied with the quality, but they didn't end up working for my face. I chatted with Rena to get a number to return my order and she was FABULOUS. Super helpful, quick and never questioned why I was returning. She even let me know there was a 19.99 fee for returning prescription glasses. I�m not even upset about it! This company is wonderful and once I find frames that fit my face I will be ordering off of here. Thank you SO much!!! :)"
"AMAZING!!!!! I placed an order for a pair of Ray-Ban sunglasses with clear prescription lenses on 8/11 and received them on 8/16!! Not only did I get them amazingly fast, and at an unbeatable price, but they sent me the removed sunglasses lenses as well! 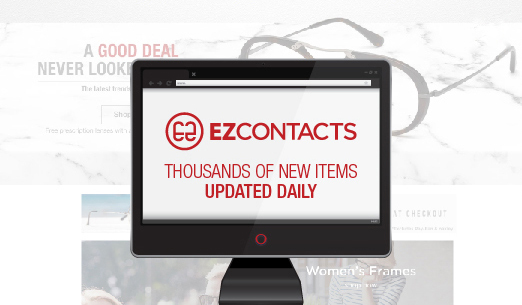 I WILL ALWAYS PURCHASE MY GLASSES AT EZ CONTACTS FROM NOW ON! EXTREMELY IMPRESSED! "